Digi-Schlock: THE GUARDIAN (Scream Factory Blu-Ray) – Schlockmania! The films that slip through the cracks often have the most interesting stories. Case in point: The Guardian. Despite having a noteworthy pedigree – William Friedkin in the director’s chair, the backing of Universal Pictures – the resulting film didn’t click with audiences and has slipped into obscurity in the years that followed. 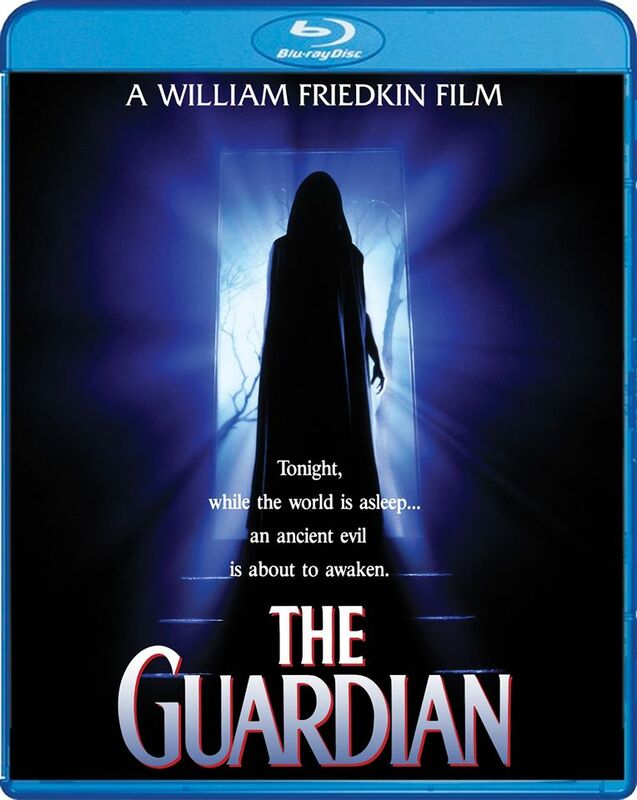 The reasons that led to this unfortunate state of affairs are many and intriguing… and Scream Factory has done a nice job of shedding light on them in their new special edition of The Guardian. The transfer lives up to the film’s stylish photography, delivering a richly colored image that does well with the frequent night photography. The audio sticks with a lossless presentation of the original 2.0 stereo mix but it’s pretty robust, delivering some punchy sound effects and music throughout. William Friedkin (17:30 min): the director discusses how he did the film as a favor to former agent-turned-producer Joe Wizan and how he tried to make the film into a Grimm’s fairy tale for contemporary times. 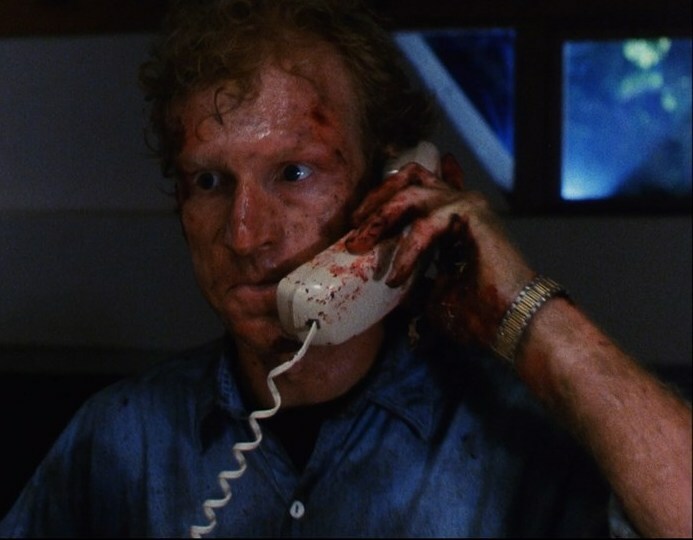 He also tells a fun story about a real-life nightmare experience with a nanny that drew him to this film. Jenny Seagrove (13 min. ): She has an interesting and nuanced take on the film, which she enjoyed doing as a sort of adventure. She admires Friedkin but admits the film didn’t work, discussing what her ideal take on it would have been. Stephen Volk (21 min. ): the writer gives an interesting portrait of the script’s troubled and convoluted development. Along the way, he reveals what Sam Raimi’s version of the film would have been like, the bizarre elements that came from Friedkin and how and why his work on the film drove him into a nervous breakdown. Dwier Brown (22 min. ): he talks about how Friedkin was brilliant but moody, which led to the actors leaning on each other as a support system. 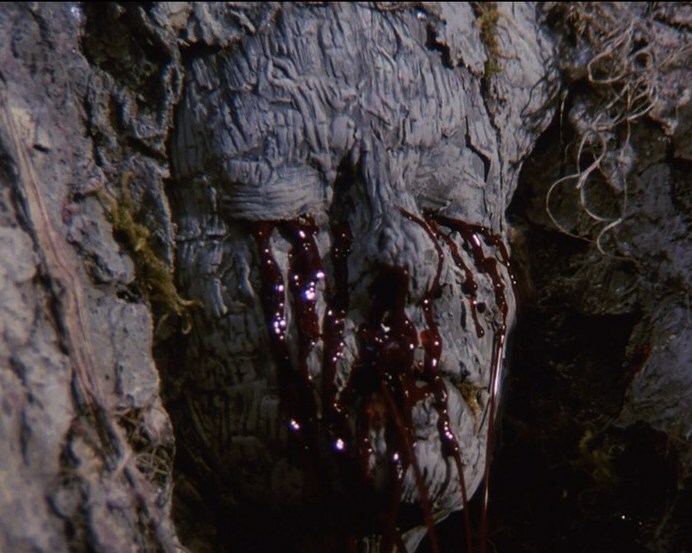 He also reveals how much of his dialogue was looped and tells tales of his battle with the film’s tree monster. Gary Swanson (10 min. ): he’s only briefly in the film so he talks mainly about his relationship with mentor Lee Strasberg and his work on Vice Squad. However, he does notch up a fun story about his audition. Natalija Nogulich (11:30 min. ): she shares fond memories of her castmates and Swanson, reveals how she was cast and talks about how she still hears about the film at conventions. Jack Hues (7 min. ): he frames his experience on the film as a nice opportunity to do something after putting his group Wang Chung on hiatus. He saw the film as an opportunity to exercise his classical training and praises Friedkin’s approach to scoring. Matthew Mungle (13 min. ): this FX designer breaks down how several different effects were done, praises Seagrove for her patience with extensive body makeup and reveals the joys and agonies of keeping up with Friedkin’s impulsive ways. The extras are rounded out by a brief animated gallery of behind-the-scenes photos and a theatrical trailer done in a “rock ’em, shock ’em” style. All in all, this is a good special edition with a plethora of featurettes that go a long way towards explaining the main feature’s eccentricities. To read Schlockmania’s film review for The Guardian, click here.